Trying to find out more about this product, and seeing all the Legendary Marketer reviews that are raving about it? Those are its affiliates trying to make a hefty commission by promoting this high ticket program. So they will tell you all the good things you like to hear, which I believe to be only partially true. Here on my website, you are in safe haven. I am not its affiliate, and I do not promote this program. So you can be assured of my completely honest, unbiased, and in-depth Legendary Marketer review. I will help you put on a pair of x-ray glasses that allow you to see through its glamorous facade, and discover for yourself how things really work once you join this program. I will also be highlighting how this product may not be the most suitable for beginners in the internet marketing space. Price: $30/month + upsells that add up to more than $30K! Legendary Marketer is an internet marketing training program full of expensive products, with a focus on using paid traffic. Though some of these products can add value for your own businesses, they are way overpriced. 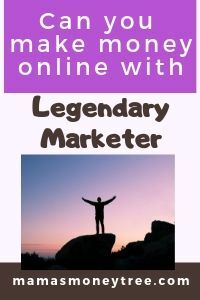 Read on for the detailed review of Legendary Marketer, and why I do not recommend it to beginners. This is the owner of Legendary Marketer – David Sharpe. He is a very successful and established internet marketer. But that does not mean the products he creates are the best for you, or me, or just anyone. 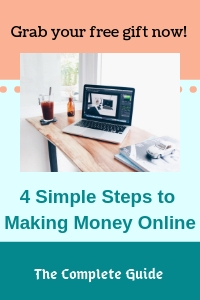 In the sales video, nothing much is divulged about the exact method that is used or taught to help you make money online. But you do see many testimonials from real people, singing praises of the program, and how it has changed their lives. Basically you get quite a bit of hype, about how awesome the entire opportunity is, and they even show David presenting a new house to his Dad, as well as how David’s family moved from a tiny house a few years back to a huge one. How he went from being a broke construction worker who hated his job to an immensely successful and influential internet marketer. That sort of gives credibility to what he is going to teach you after you buy the product, giving the impression that he is able to help you make lots of money. It is also made to seem like an easy method to make $5000 to $10,000 per month, depending on how far you build the business. Finally, they reveal that the product is a step by step training video that will help you succeed. Still very vague. So let’s probe deeper to uncover the truth. When you sign up for the front end product, it is actually a $30 monthly subscription to Legendary Marketers Club. You will get training and resources that allow you to start, grow and scale your online business. With monthly access to a live virtual training workshop, as well as a new class each month taught by an expert, you will not get information overload. The only issue is this: I find this kind of curriculum schedule to be limiting, because the training is conducted via weekly webinars. This means that I am not able to progress in my own pace. Say I’m an advanced marketer, and I just want to get straight to the topics or modules that I need help in, this training program does not allow me to do that. This first upsell at $247 is already a pricey one , but something you can’t do without if you do not know anything about getting traffic to your business. What is a business without traffic? It is nothing. You are not going to earn a single cent if no traffic comes to your offers. This Traffic Rolodex Bundle teaches all about advertising on the main platforms like Google, FaceBook, Instagram, YouTube, Google Display Network, and Twitter. It is a robust training that even includes how to create compliant landing pages on each platform, so that you do not risk losing your account. You see, some platforms are very strict about advertisements in the make money online niche. So if you are not careful, you could be stepping across their boundaries. Though this training is good, I would strongly advise beginners against paid traffic. I will discuss more about this in a later section. This is a whooping $2,500. Conducted by Steph Perez, it teaches you how to get set up with affiliate marketing, how to choose profitable products to promote, how to find affiliate programs, how to do email marketing, and get traffic through YouTube, Instagram, FaceBook, and Solo Ads. Another good course, but I seriously do not think it is worth its over-the-top price at all. Also priced at $2,500, and conducted by Mark Harbert. This course teaches you to create your own digital products, from planning your curriculum, making your product in audio, video or written format, and delivery of the product to your customers. Another $2,500 blueprint, David Sharpe teaches you to turn your expertise or passion into a consulting or coaching service. It details each step of the way, from identifying your niche and creating your offer to delivering your services and scaling your business. Yet another $2,500 blueprint, David Sharpe teaches you to plan, host and profit from your live event or mastermind. You will also learn the art and science of becoming a talented facilitator. This costs $8,000. And is a live, in-person mastermind that covers the must cutting edge traffic, lead generation, and conversion strategies from the world’s top online marketers. This is the last and most expensive upsell, at $12,000. It is a live, in-person mastermind covering health, wealth and wisdom hacks, growth tips, and performance strategies to create and protect your wealth. The products within Legendary Marketer, as well as their affiliate earnings structure, have gone through some huge changes in January 2019. Firstly, the training products are not catered solely for promoting Legendary Marketer itself anymore, though a significant portion is still specific to it. Secondly, it has moved away from the pay-to-play system that it used to be, in the sense that if you wanted to promote a product, you had to first purchase it. If you didn’t, then you did not make any affiliate commissions on products that you had not purchased yourself. Thirdly, there is this new and free 15 day Online Business Builder Challenge that you can try out, which gives you daily training and tasks to complete. Within this challenge period, if you pay $2,500, you get the Business Blueprint Bundle, which consists of all the 4 business blueprints, each costing $2,500 if bought separately. This change is certainly a welcoming and enlightened one, as it is now free for everyone to promote Legendary Marketer, albeit at a much lower commission rate for people who are not members. This means David Sharpe is listening to feedback about his program, and has moved giant steps forward in improving it, to align with customers’ requirements and needs. I believe Legendary Marketer has a much brighter future if its training and resources continue to be modified to cater to a wider audience, serving their needs of setting up their own businesses in whatever niches they choose, rather than focus the materials on simply promoting Legendary Marketer itself. No matter how great a product is, there is still a limit to how much people can afford to pay for it. What does it tell about David Sharpe’s motive in creating the product, from its exorbitant price? That he is going all out to help people succeed? Or is he just interested in filling his pocket? I do see his sincerity, from the most recent revamp to his entire Legendary Marketer program. But to fork out thousands of dollars is still something quite impossible for too many people. And don’t forget the main source of traffic they teach is paid traffic. That will be another huge chunk of investment you need to sink in, even before you start making any money. This is the other big issue I have with Legendary Marketer. Paid traffic is just not for beginners, in my opinion. It is something that you learn while you do, through implementing the advertising campaigns. This means you pay while you learn. And it’s a steep learning curve. You can have the best training in paid traffic, but when it comes to implementing it, you’re still on your own. You need to figure out your target audience on whatever social media platform or other channels that you are using. You can’t skip this learning. So be prepared with another few thousands, or possibly even tens of thousands, in your pocket, before you embark on this. Paid traffic is an art and science. Every platform is different. You should only focus on mastering one at a time. People’s behaviour on each platform is different. For the niche you are in, you need to understand your potential customers’ preferences, behaviour pattern, and where to find them, as well as their demographic profile. If you cannot grasp these on your own, then your returns on investment will be extremely low. So paid traffic is not as simple as it seems. If you do not have the money to spare, or are unwilling to take this high risk method to getting traffic, why not go for free traffic instead? I want to show you my free traffic method. I do not spend a single cent on paid traffic, because to me it is a risky business. Moreover, the way I build up my free traffic source also helps me establish my business in the online space, such that it will eventually become a passive income stream. If there is free traffic, why do people want to go for paid traffic? The answer is simple. For everything, there is a trade off. When there is a plus point, it comes with its own drawback. Paid traffic takes money, but you get fast results if you know what you are doing. Free traffic is free, of course, but it takes time and work to build up. I choose to build up my free traffic source with time and effort, because once it gets established, the traffic is unstoppable. You see, this traffic comes from search engines. When people search for stuff online, search engines show them results that are the authority in that niche. So if I build up my business to be the authority, then I will get ranked high on page 1 of people’s search results. When search engines give me their trust, the reward will last for years. The time and hard work I put in will pay off big time in the months and years to come. Whereas with paid traffic, I have to keep up with the advertising campaigns, and keep pouring in the money. The moment I stop, my traffic goes to zero. David Sharpe is a highly successful marketer, who is very much established in the internet marketing space. I can see his sincerity and foresight coming through with the most recent changes to this high ticket program. The training in Digital Products Business Blueprint has value, if you are interested in creating your own digital products and selling them. The other modules are great too, it’s just that there are too many lower cost alternatives out there. Unlike before the revamp of Legendary Marketer, now the focus of this training program has shifted away from just promoting Legendary Marketer itself. This is fantastic, and totally the right direction to move towards. This factor itself is enough to put me off. $2,500 is not something that everyone can afford. And it’s precisely the people who lack the money but determined to make it work that we should try to help to succeed. I find the training focuses too much on paid traffic. Precisely because free traffic takes time and work to establish, something that most people are not willing to do, so if they teach this free organic traffic method, it will not sell as well. But paid traffic is something I really do not recommend for beginners, especially when there is a zero cost traffic source that works. 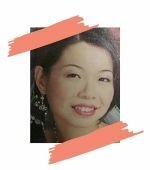 Legendary Marketer also teaches free social media traffic, but to me, it is not sustainable, because it takes very consistent posting and nurturing of your leads in order to get conversions. The moment you stop, the traffic stops too. It also takes time to establish, and yet conversion rates are very low because people go on social media not to buy stuff, but to relax and socialise. So these are not targeted buyer traffic. Here are some complaints that I found. The number of complaints are not huge, but they far outweigh the number of positive feedback. To be fair, some of these complaints were from 2018, before the latest revamp. But I think it gives you some perspective about their marketing tactics. Moreover, 2018 isn’t that far back. Is Legendary Marketer Scam or legit? Legendary Marketer is definitely a legitimate training program for internet marketing, especially with the great improvements made in its latest changes. Like these other products I have reviewed, it is an expensive program more suited for advanced marketers: ClickBank University, Six Figure Success Academy, and Super Affiliate System, to name just a few. If you are an advanced internet marketer, know what you are doing, and are ready to plunge into paid traffic sources, then Legendary Marketer could be for you. However, I do not recommend Legendary Marketer if you are a beginner in the internet marketing space, because it is too expensive. On top of that, you have to fork out another handsome sum for your advertising campaigns to try and get paid traffic to your business. There is a proven way to get free traffic, from the search engines. In fact, I want to show you how you can build up your very own online business from scratch, in whatever niche you choose. And establish it to get the love of the search engines. 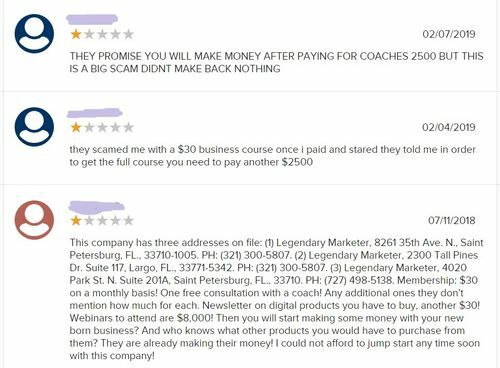 If you have any concerns or questions regarding this Legendary Marketer review, do comment below, and we will start a conversation from there.